My mom and aunt came to stay with us for several weeks to help get us settled, and I was tickled to see how much my mother enjoyed the business. She was filled with great ideas for the gardens, baking and decorating. A few months later she asked if she could move in with us to help and the rest was history! 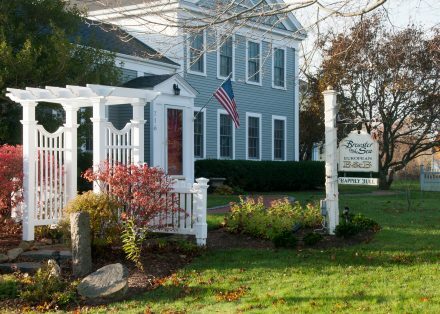 We had ten wonderful years together at the inn and my mother was instrumental with helping us turn The Brewster FarmHouse Inn to an upscale, successful Brewster by the Sea Inn and Spa. We were always on a mission of gardening and cooking with all organic food and products and that lead us to want to make all organic, homemade cleaning products. Our fellow innkeeper at that time, Charlotte from the Candleberry Inn was on a similar mission. She hosted several classes demonstrating how to make cleaning products for your home. My Mom and I signed up and had a wonderful afternoon together with a bonus of enjoying a delicious homemade soup that Charlotte made for us. 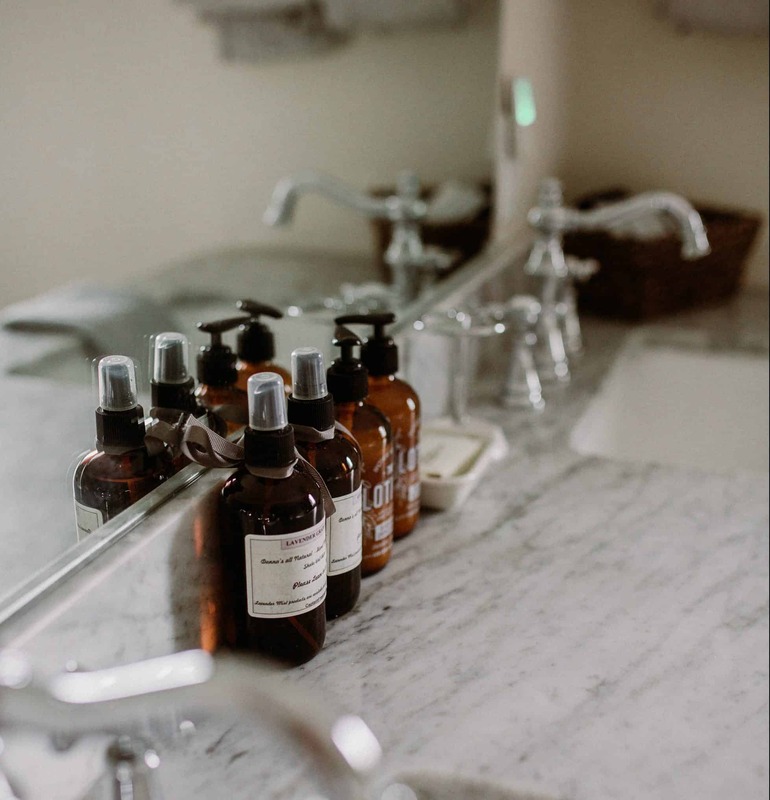 I still have the handout on how to make those products with my mom’s hand written note about what combination of essential oils she liked- YUP- you guessed it, she came up with our signature Lavender Grapefruit scent that has been so popular at the inn. We make our spritzers in large batches on our kitchen table. We actually look like a chemistry lab with all of the glass bottles organized on the table. The formula is very simple and you can make these at home very easily. They would also make great holiday presents for friends and coworkers. Byron has become quite talented with with printing of our labels. We landed on a waterproof label that can be printed on your home printer. 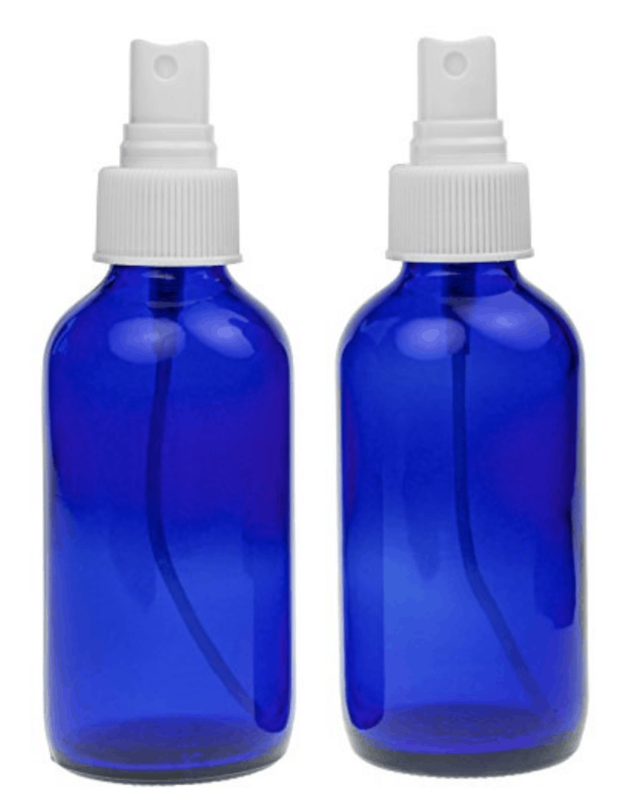 Amazon has some great glass bottles to choose from like this one we use for our cobalt blue 4 oz. 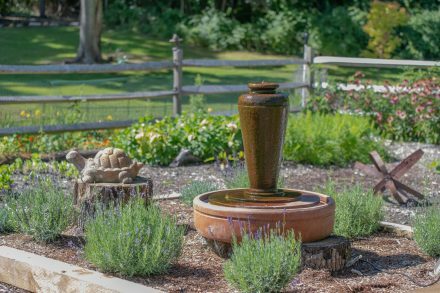 We also love to purchase our essential oil from either the Cape Cod Lavender Farm or the Atlantic Spice Company in Truro. Here’s the simple recipe with our “secret” combination of essential oils. Our philosophy is never to keep anything good secret as life is far too short not to share the good things in life. 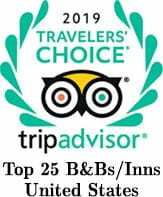 We provide Lavender/Grapefruit and Eucalyptus/Lemon spritzers in all of our rooms for our guests to enjoy during their stay. Mix all ingredients together and place in a glass or plastic bottle with a spritzer. You can easily double this recipe to make 8oz. For the Eucalyptus/Lemon we use 20 drops of Eucalyptus to 10 drops of lemon. Play around with the quantities to get the scent you love. This past year we came up with a new combination as a natural preventive for ticks-Eucalyptus Lemon. For some crazy reason ticks do not like the smell of Eucalyptus. While that scent is very strong we found it to be a nice clean scent when we combined it with lemon. 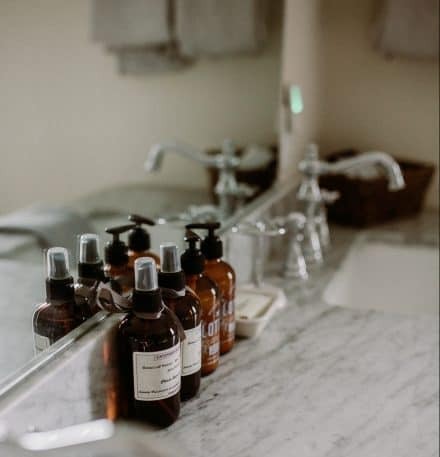 Have fun with the combinations of essential oils and be on the lookout for fun bottles and ribbons to dress up your spritzers. 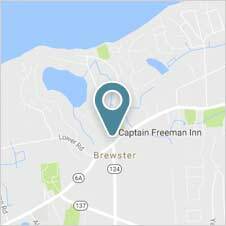 Happy holiday from all of us at the Captain Freeman Inn.